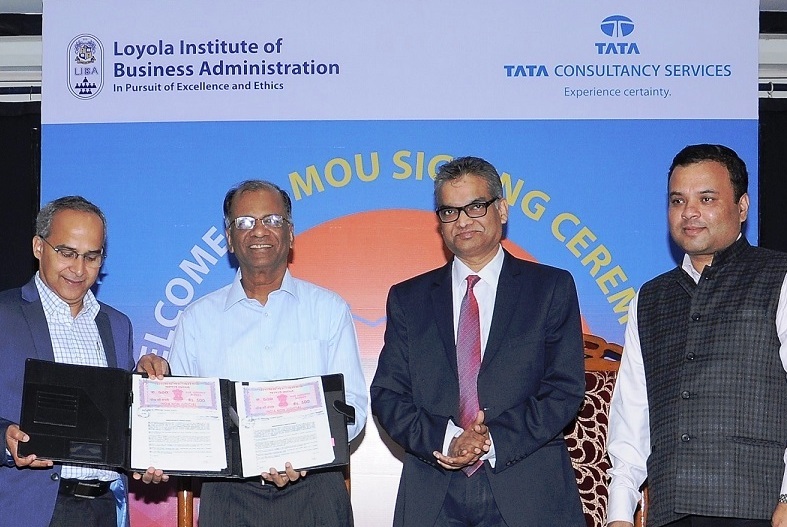 Loyola Institute of Business Administration (LIBA), Chennai and Tata Consultancy Services (TCS), a leading global IT services, consulting and business solutions organization, today announced its partnership to design a first-of-its-kind management programme with a specialization focused on Business Analytics. LIBA will offer this course from the next academic year (2017-18). About LIBA: Loyola Institute of Business Administration (LIBA) is a premier B-school, established in 1979 within the premises of Loyola College. LIBA is managed by Jesuits well known for their outstanding contribution to higher education. LIBA stands for excellence and ethics which are the hallmarks of Jesuit business education and all its programs and activities embody these two elements. LIBA earnestly strives to inculcate in the students the values of excellence, justice, honesty and service to the society. LIBA focuses on the ‘holistic formation’ of students in all quotients, viz., intellectual, social, emotional and spiritual. The Institution works with an undeterred zeal to offer its students the best of the education, blending classroom and experiential learning. Tata Consultancy Services is an IT services, consultingand business solutions organization that delivers real results to global business, ensuring a level of certainty no other firm can match. TCS offers a consulting-led, integrated portfolio of IT, BPS, infrastructure, engineeringandassurance services. This is delivered through its unique Global Network Delivery Model™, recognized as the benchmark of excellence in software development. For TCS global news, follow @TCS_News and @TCS.